Networking within the hedge fund industry can be challenging, or maybe you disagree but you are constantly looking to create more powerful relationships. I want to help people connect, get answers to questions, and eventually help build a community around the Richard Wilson Hedge Fund Blog so that it is more than a long series of posts by myself. 1. Post comments under the blog posting that is most closely related to the type of person or group that you were looking to connect with. Everyone will instantly be able to see your contents and some people might email you directly or post a reply to your posted comment. 2. Email me at Richard@RichardCWilson.com or call me at 503.789.7901 and I will connect you with an individual I know or direct you towards a few possible next steps. 3. Write a guest article for the Richard Wilson Hedge Fund Blog. I currently have around 250 people reading my blog every day which is getting close to 100,000 visits/year. Write anywhere from two paragraphs to ten pages and if it seems to be in line with the topics I'm focusing on I will post it with a two sentence spot on who you are with your email address at the bottom of it. 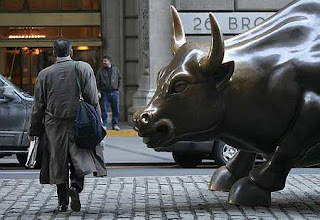 The Hedge Funds Group has been launched in conjunction with Linkedin.com. This group was formed in an effort to further connect hedge fund professionals to share business leads, provide consulting services, network, and share online resources related to the hedge fund industry. I own a boutique Investment Company that originates & places Commercial, Construction & Hard Money deals. My funding sources include Hard Money Institutions, HNWI's, Hedge Funds, and more recently... Invidual Investors using Self-Directed IRA's. I guess my contribution/question to this blog site is, "How can I attract more Real Estate Hedge Funds that are interested in short-term (12-24 mos)financing?". Although I have a couple (literally) in my network, most Real Estate Hedge Funds seek longer term investments. Personally, I feel it's more productive & lucrative to take on short-term deals because Origination on top of the Interest Rate would result in a higher return in that short period of time. Then being able to boast to other potential investors of the fund. Other Hedge Funds evolve around the "Stock" market, which makes it more difficult to locate & sift through potential candidates.